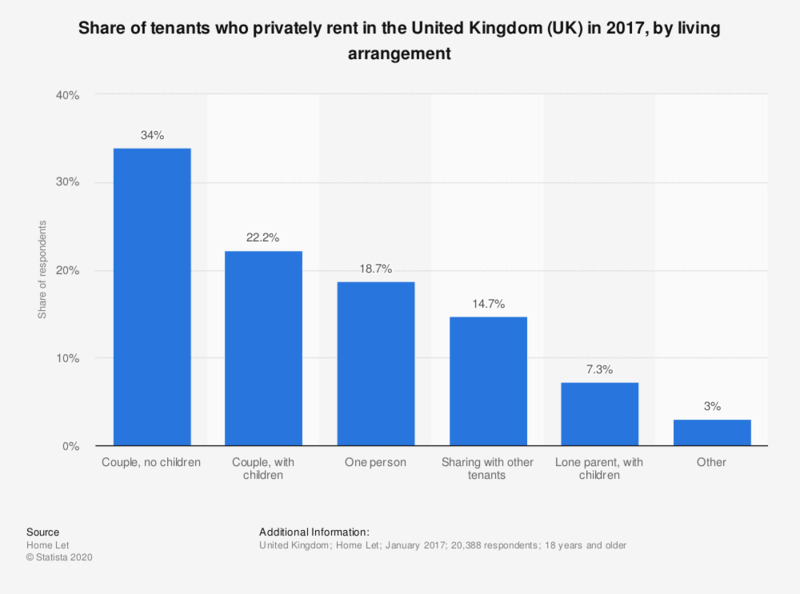 This statistic shows the percentage of tenants that privately rented in the United Kingdom (UK) in 2017 and their living arrangements. The highest percentage of private rental tenants were couples with no children at 34 percent. Only 7.3 percent of respondents were lone parents with a child or children. Which of the following pets do you have in your rental home?